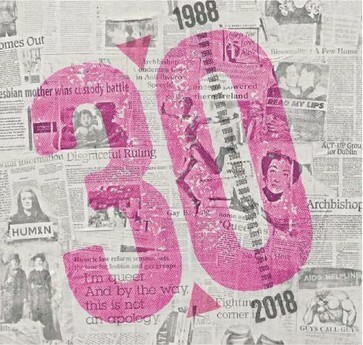 As part of the ongoing celebrations of GCN’s 30th Birthday, we launched a Fund It campaign to help mount a very special exhibition at the Gallery of Photography in Meeting House Square during the Dublin Pride Festival. The exhibition will chart the history of Ireland LGBT+ community over the past three decades through the pages of its community magazine. 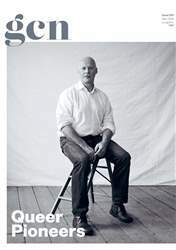 “I believe that we are never more beautiful than we are now,” says photographer Paul Connell, who shot the cover of our second annual queer elders issue. Inside his photo-feature celebrates ageing in the LGBT+ community, mental health columnist Ray O’Neill talks about embracing older role models, and 73 year-old facilitator with the Gold group for gay and bisexual men tell us about life getting better and better. We meet the CEO and Chair of Ireland’s brand new national LGBT organisation, report on a contradiction at the heart of trans healthcare, get the lowdown on not one, but two queer theatre festivals about to enter stage right, and remember Kylie’s greatest gay anthem. And there’s so much more – just turn the page! WE ASKED THE TEAM WHO IS YOUR OLDER HERO?